God created a Government for His children to rule this earth through. This Government and its resources are invisible to the natural eye but are just as real and powerful as anything you can see or feel. And the only way for you to fully take dominion is to recognize and operate in this God-ordained system. 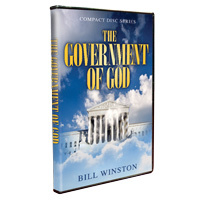 In the “The Government of God” Dr. Bill Winston shows you how to live according to God’s system for getting your needs met and for ruling the earth. Let the truth shared in this series give you the revelation of the world you came from and the Kingdom designed to meet all of your needs as you boldly accept your new citizenship in the Government of God!